Every once and a while, I pick up one of my Nancy Drew books. Today, not wanting to waste away on the computer like usual, I decided to read. I’m currently trying to finish Sarah Vowell’s The Wordy Shipmates. That sounds like I absolutely hate the book, but I really don’t! I just have been having trouble finishing them the past year or so (you can imagine how being a history major can be difficult because of that). A book with the word “wordy” in the title can be a bit hard to finish. While I’m still on the subject, you should read it because it’s about the Puritans and it is really interesting. No really! 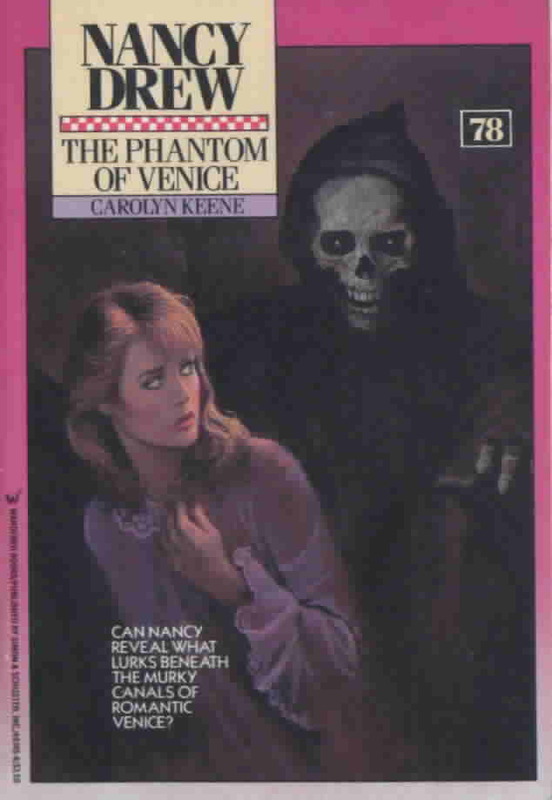 ANYWAY, I wanted to read, but not something really heavy in historical facts, so I picked up The Phantom of Venice. It should be noted that I was playing the video game of the same name the other night, so it was partially because I was curious to see the differences between the two. To be honest, they’re almost not even the same story! Read on if you know the endings for both, or if you don’t care for spoilers! You have been warned by me AND Nancy!